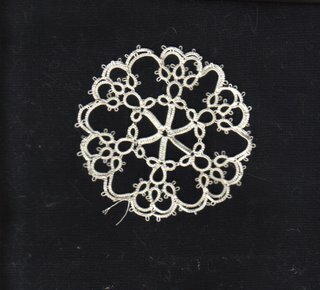 These two motifs aren't very exciting, one was from 25 Years Of Tatting and I couldn't get the outer ring to work as in the pattern. It is true that trying to decode all the different ways of noting patterns is part of the fun, for me at any rate! None-the-less, sometimes I just admit defeat and tat my own version just to finish it. 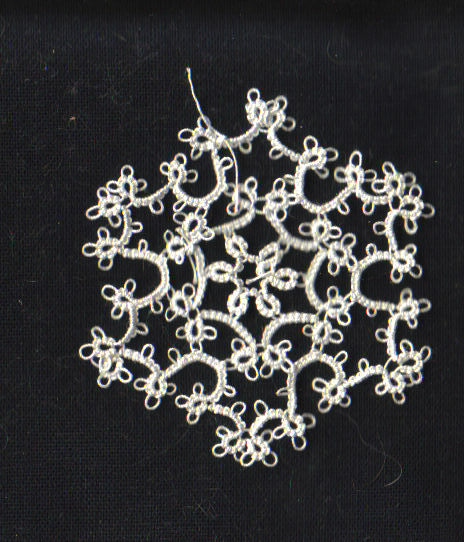 The other is a snowflake from Vida Sunderland's book. Then I picked up this edging again, because I thought it would look pretty on my daughter Polly's dark pink debardeur. She wears a lot of black, and so it would tie in. The pattern is from A Tatter's Workbook. I am not counting it as a motif, but just sharing it anyway. just popped by your blog to see what is new... 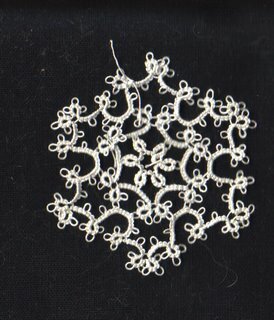 I like the newest snowflake (most especially moving into the 'centre' of the flake), and think it will make a nice wintertime hanging ornament or for the Christmas tree. 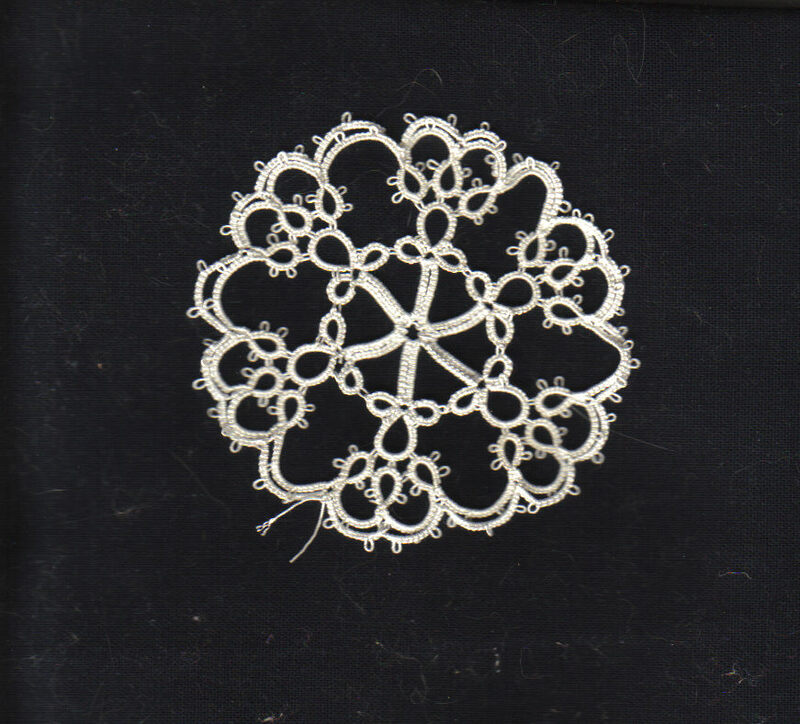 I have not been tatting this week, hehehe, been busy and a bad crafter, but I made a link to your blog in my latest post... hope you don't mind!